Oh, most definitely yes! Enter this star-studded app of synchronized stardom called Seesmic. Simply phenomenal. Think of an app on your phone that simultaneously allows you to post something onto your Facebook, your Twitter, your LinkedIn account, your everything. That’s Seesmic Ping. The virtual bridge of all social media. 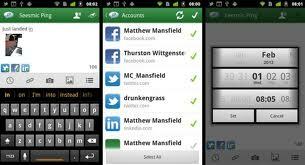 It basically acts like a regular texting and attaching app. Attach or write anything you want and then post it. It’ll post right on those specific sites, multiple sites, too. In other words, if you have a Facebook page and a Facebook profile, no problem. That’ll post just fine. You have multiple Twitter accounts? Sure thing. Seesmic will handle that, too, easily. Talk about synchronization. 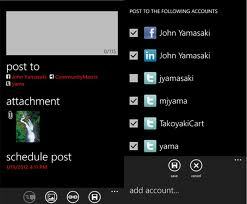 That is to social media as a call center and auto attendant is to a major global corporation. They are the gatekeepers. And Seesmic surely is a gatekeeper the god Thor would be proud of, for sure. This is specifically relevant simply of the fact that social media has become relevant in the entrepreneurial and small business world. It’s the newest rage of marketing and advertising. Can you think of any better way to go viral in literally seconds without having to get on your desktop? On the Flip Side of the Coin, Though…. How much social media marketing is too much, really? The bottom line, in all honesty, is that the entire universe of social media is getting quite saturated. It’s like an explosion of convoluted hungry albatrosses out of the Disney flick Finding Nemo all chanting “Mine! Mine! Mine! Mine! Mine! Mine!” over and over again as they display their array of chaos. Everyone wants to get in on the action when it comes to social media. There’s the fact that you’re missing (as much as we like to hate it) MySpace. There’s also the ever-popular WordPress blogs and Blogspot blogs, not to mention Manta, a social site specifically designed for small businesses. In a nutshell, Seesmic doesn’t do a thing about any of those. So what’s the deal? We’re missing a big chunk out of the social media industry. And when you think about social media, that’s a big no-no! Still…. Developers are smart. There’s no doubt about that. 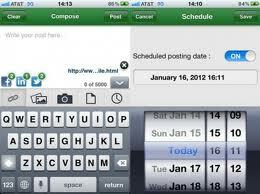 So expect a popular app like Seesmic to constantly be updated on a regular basis. Until then, you can rely on convenience and that ever-important synchronization with only LinkedIn, Facebook, and Twitter. And for some, that’s good enough! This entry was posted in Android Apps, Halloo, Marketing, Sales, SEO, Small Business and tagged advertising, android app, company, Facebook, LinkedIn, marketing, Seesmic Ping, small business, social media, twitter, YouTube by Pierre. Bookmark the permalink.